During my countless galleries, readings, lectures, events, as well as my own life experiences, I have come across some realizations about our mindset, our belief systems and our experiences in relation our current creation or reality. I designed this workshop and the set of exercises to help your awareness of this reality. These techniques are highly effective at altering your awareness and perception. and relationships. It can help you heal past trauma, physical or emotional, by releasing the hold these situations have over your inner joy and the ability to move forward. 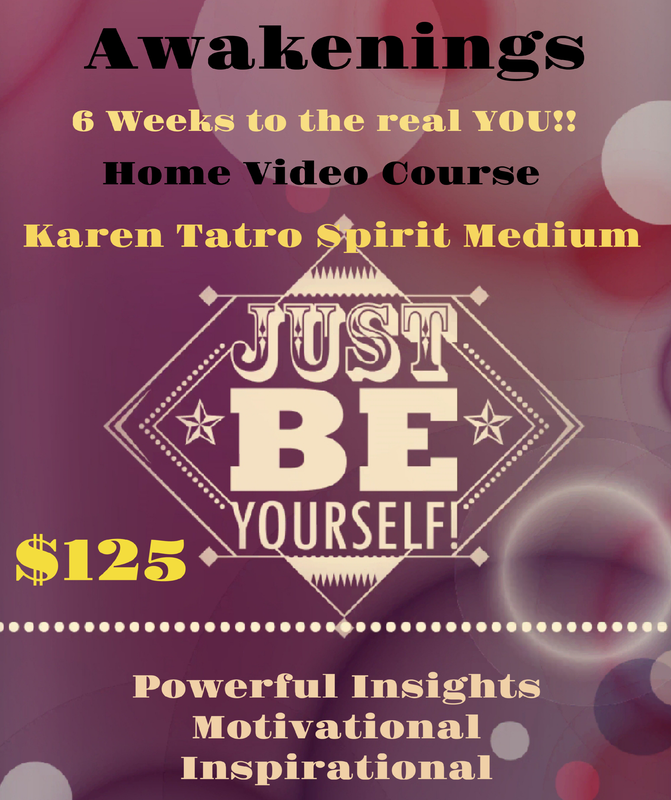 Join me on this incredible journey back to your SELF! Awakenings Workshop is a 6 week video program with discussions and techniques to help you identify areas of your life that are formed by conditioning and belief systems. When you recognize these areas, you can identify which are beneficial and which are harmful. You can then learn to reshape and re-create. This is an amazing insightful workshop to help you get back to the YOU, that you were born to “live”. What are you beliefs? How are they formed? What creates separation and unity? What is awareness? Are we a puppet to the past? How do we get back to OURSELVES? This is a 6 week video workshop, each week you will receive a 2 hour video targeting certain areas of awareness designed to recognize and heighten your senses in this area. The videos have been made to be motivational and empowering. You will receive a guided meditation video to help your inner wisdom and “meet your own” spirit guides who are with you every step of the way! You will also receive a Rune Card Deck created by Karen Tatro Spirit Medium with powerful messages to help you stay on course to a better YOU! This is an amazing Awakening of You!